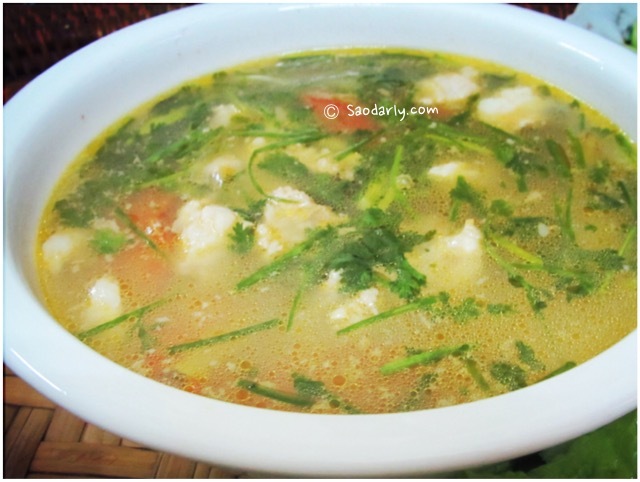 I have one aunt who loves to eat pork meat on a regular basis. 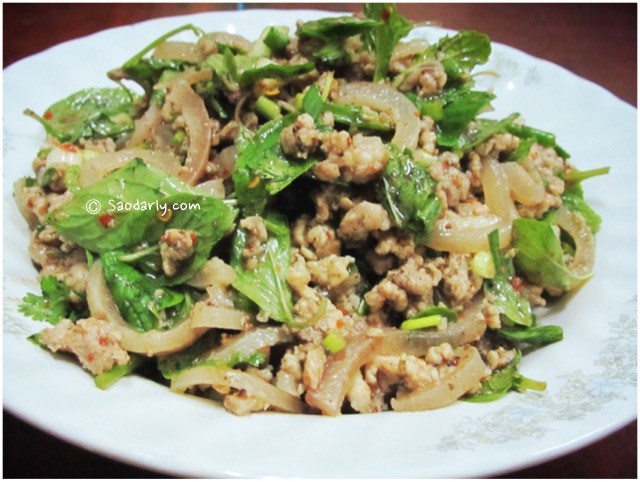 She usually makes Larb Moo ລາບຊີ້ນຫມູ (Minced Pork Salad) for lunch and dinner once a week. 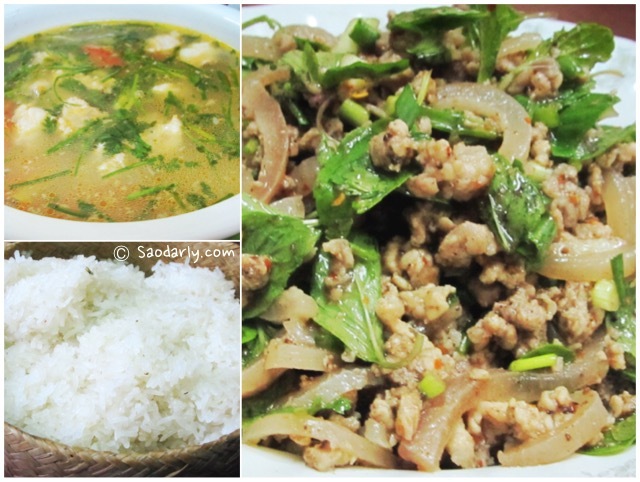 For dinner on this particular night, it was Minced Pork Salad ( Larb Moo ລາບຊີ້ນຫມູ ) with Pork Soup ( Kaeng Sien Moo ແກງຊີ້ນຫມູ ) as the usual. 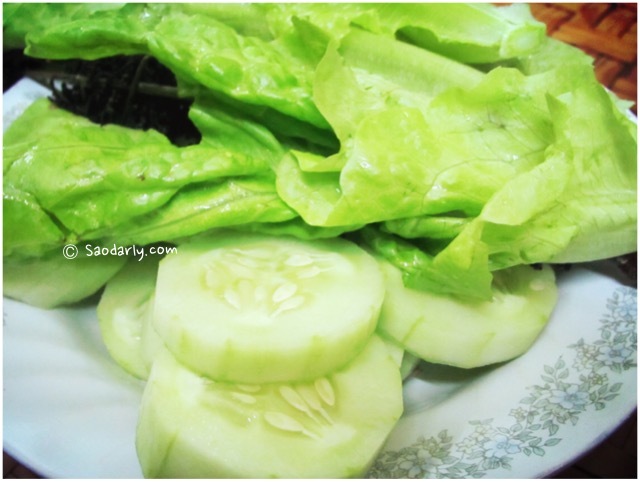 The only vegetables were sliced cucumber, lettuce, Lao eggplant (Mak Khua), and Phak kadao. 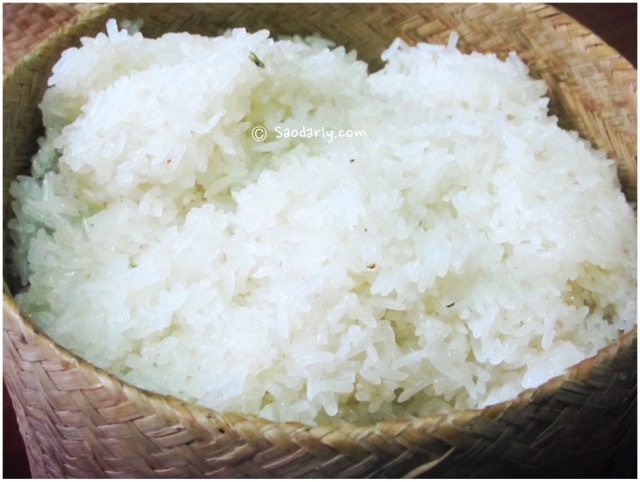 There was plenty of freshly made sticky rice (Khaoniao; ເຂົ້າໜຽວ) to go with Larb Moo and Kaeng Moo. Thanks for sharing DJ. Please keep up the good work.